We finally know Billy Boyd (Pippin from The Lord of the Rings trilogy) will be performing the end credits song for the final film set in Peter Jackson’s cinematic Middle-earth. Warner Bros. have posted their ‘For Your Consideration’ list for “The Hobbit: The Battle of Five Armies” listing all the people and categories they want Hollywood to pay attention to come Awards Season. 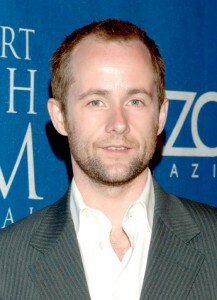 On that list for ‘Best Original Song’ is “The Last Goodbye” written by Billy Boyd, Philippa Boyens and Fran Walsh, and performed by Billy Boyd. It now seems that the use of Pippin’s song “The Edge of Night” in the recently released teaser for the film was a bit of foreshadowing. That song, with the lyrics coming from the last stanza of Tolkien’s ‘A Walking Song’ and the melody written by Billy Boyd himself, demonstrates a great level of empathy on the part of Billy for the melancholic feeling at that point of “The Return of the King”. It seems almost too perfect that Billy should be called upon again to deliver what promises to be a very emotional and fitting ending to all things Middle-earth. And because it’s fun to speculate, you will notice 15 other categories listed ‘For Your Consideration’ on that list, many names familiar to us all. Who do you think might get a nomination this Awards Season?